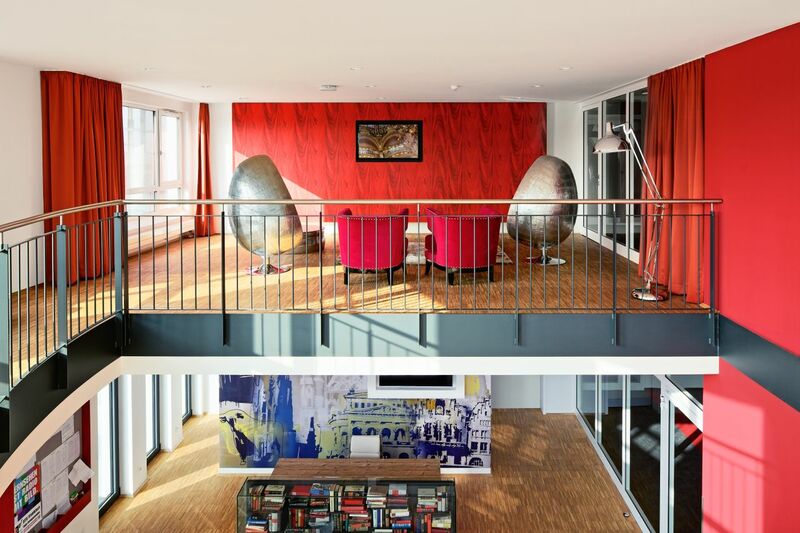 Create an ideal lifestyle just steps from campus at the student housing of YOUNIQ Frankfurt II. Pick up a quick Chinese meal for takeout at Jinmels Kitchen Chinese restaurant down the block or sit down for the lunch buffet. Spend an afternoon at Café Wacker catching up with friends over a coffee and cake. Plan a study session on campus at the vibrant student hub Cafeteria Level. When you want to browse the latest fashions or grab a bite to eat, you can just hop on the subway to visit Nordwestzentrum shopping mall. Wake up in your fully furnished private room and hit the snooze button on your alarm. 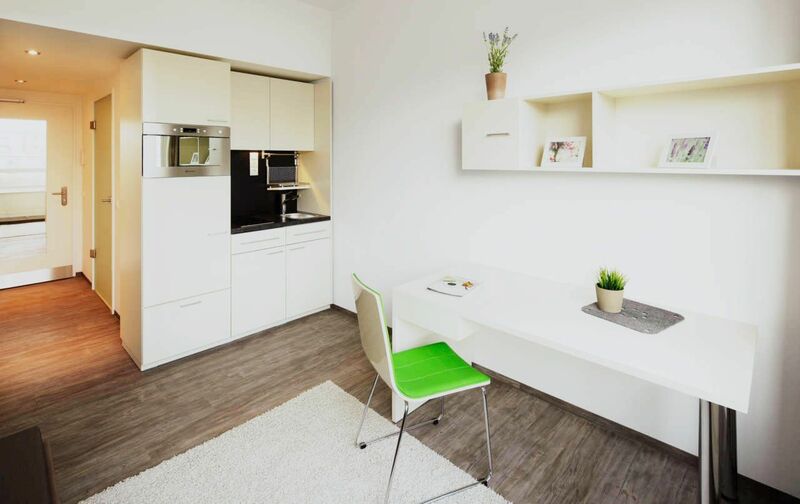 With a campus branch of Goethe University of Frankfurt right across the way, you can sleep in a bit longer when you live at YOUNIQ Frankfurt II. 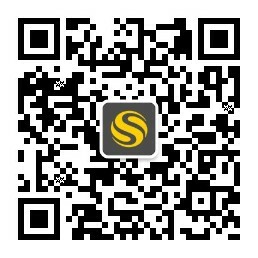 If you need to get around the Frankfurt region, there is a subway station just steps from your new home. After class, stock up on groceries a block away at Aldi discount supermarket. Come back to your apartment and stop in to check your mail in the lobby. You can check in with the on-duty reception to see if you received any packages. Then, work up a sweat with a jog at the on-site gym. After a quick rinse off in your glass shower, prepare a meal in your built-in modern kitchen using the ceramic stove top. You can also heat up leftovers in the microwave. When you clean up your dishes in the sink, head down to the student lounge to chat and mingle with your fellow residences. 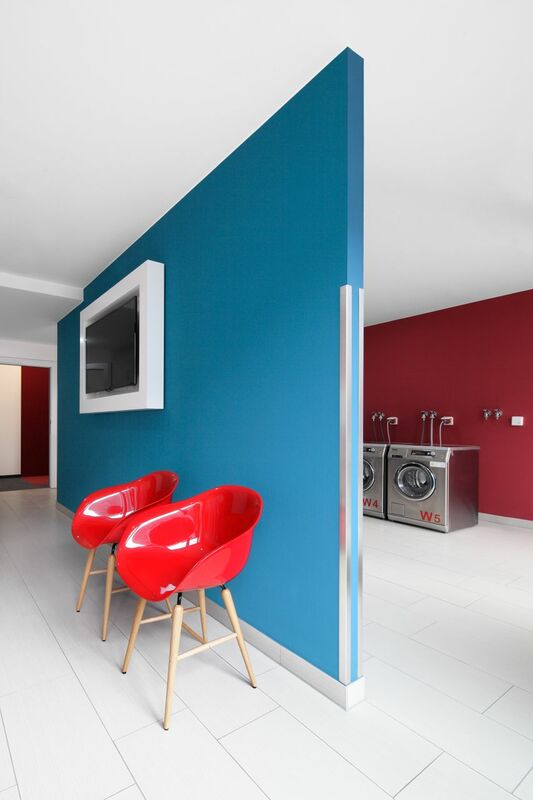 Even with your busy schedule, you can fit in a load of laundry at the washers and tumble dryers in your building. Afterward, sit back and relax as you click on a cable TV channel to catch your favourite show. As you wind down your evening, squeeze in a few more minutes of homework at your desk. You can use the high-speed internet to research a paper or shoot off an email to a classmate about an upcoming group project. When you’re all caught up, change into your pyjamas, brush your teeth in your private bathroom, and get ready for bed. We couldn't find a room that matches your preferencesView all Entire Place in YOUNIQ Frankfurt II.